Sacks now carves out time each week to walk through her neighborhood, looking through recycling bins to find this that simply don’t warrant disposable. 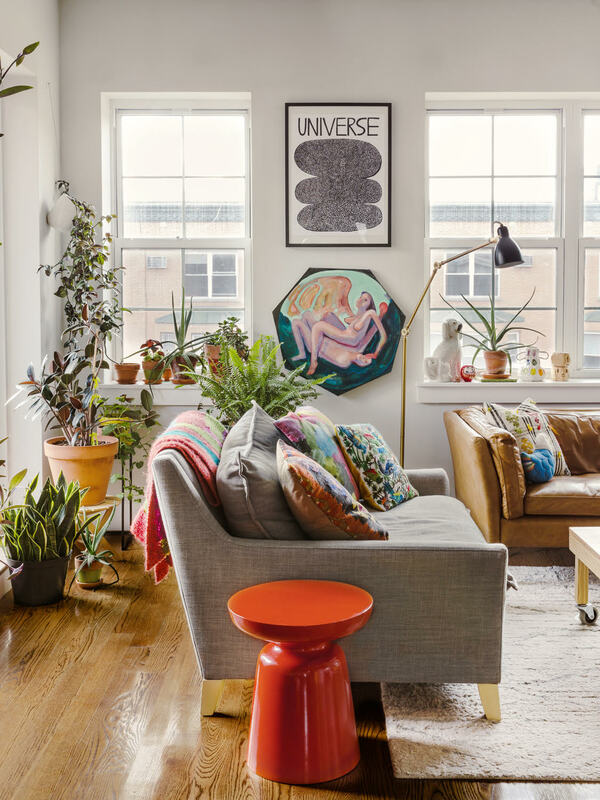 On her Instagram account, @thetrashwalker, she’s shared some shocking finds: a red Le Creuset Dutch oven, plastic children’s toys, framed art prints, and countless still-fresh bouquets. The lesson here: A lot of people are throwing out things that can easily be kept or donated. And that means a lot of unnecessary things are finding their way into landfills. Not only are many of these found items not recyclable (plates and bowls, for example, can’t be recycled because the glass in dishware is treated in such a way that it can’t be melted down like glass bottles and jars can), there are tons of things that could simply find a second life under new ownership. Combustion and landfill—the two methods we use for trash disposal—are connected to global warming. By reducing the number of things we place in the trash, we can limit our carbon footprint and even lend a hand to others in our communities. Below, Sacks shares her best tips to step closer to a waste-free lifestyle. “About a third of the waste we create is compostable: napkins, paper towels, food scraps,” Sacks says. This applies to the still-good food that many grocery stores and restaurants toss, as well as the egg shells, coffee grinds, and kale stems that you might end up tossing after whipping up an at-home brunch. All of it can go in the compost in order to help generate clean energy and nutrient-rich soil. Food waste—when not composted—is a major contributor to global warming because of its methane emissions. Getting your own compost bin doesn’t have to be hard, either. There are plenty of chic options that look great on a countertop (and won’t emit unpleasant smells). If you live in a city, chances are you have a curbside organics program and if you live in a smaller town, you can easily drop off compost at a farmers market or use it to create fertile soil for a garden. Sure, it takes extra effort to lug unwanted belongings to the thrift store post-Kondo, but a few extra minutes from your day can save plenty of things from going into a landfill. The planet will thank you for your time, and so will whoever scoops up your cast-offs. “You can leave furniture outside, but [do it] on a non-trash day so it sticks out more, along with a free sign so people know they can take it,” says Sacks. “I leave stuff outside for anyone to take rather than bringing it to a thrift store to encourage a gifting culture in my neighborhood.” Whether you’re feeling generous or you just don’t have the time to drop by your local thrift store, look up your garbage collection days to ensure your cast-offs have plenty of time to be picked up by someone else before the garbage truck arrives. There are plenty of local accounts—like @curbalertnyc, which Sacks recommends for New York City residents—that can alert you to cast-off furniture and home goods in your area. In addition, local Craigslist free pages make for an accessible resource, whether you’re looking for some free finds or you just happen to see a great kitchen table on the curb as you’re walking around: Just take a photo of it, note where it is, and list it on Craigslist so someone else can grab it.